This year’s Pup Aid day, held at Stanmer Park, was attended by the Mayor of Brighton and Hove, Councillor Anne Meadows and her consort, Tony Meadows. 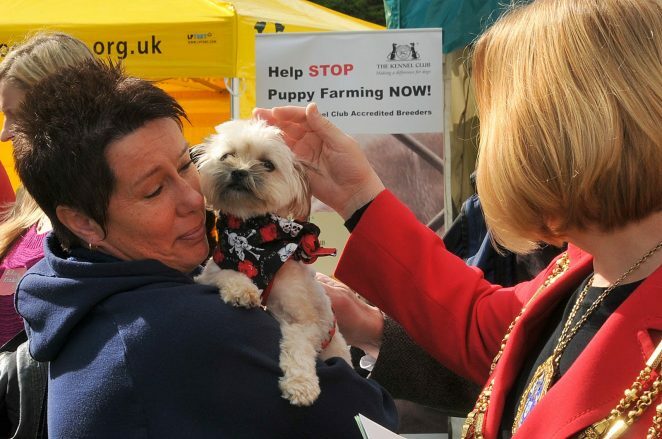 Pup Aid is an organisation whose aim is simply to educate people about the correct way to get a dog, either by adopting a rescue dog from any of the overflowing rescue centres in the UK, or visiting a responsible breeder where you will always see the puppy interacting with its mother. If you would like to find out more about the work of Pup Aid you can see their website here.